The activation reactions of organic substrates involving tantalum compounds and complexes as compared with other transition metals have a relatively recent history, and therefore they are by far the least studied. 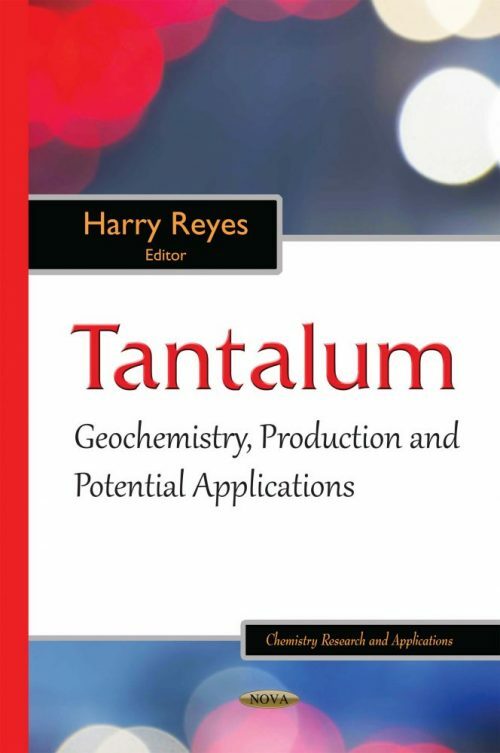 The first chapter presents research data published by the authors in the last five years, on the use of catalysts based on tantalum compounds and complexes. In Chapter 2, a systematic study has been undertaken of basic thermodynamic functions of tantalum through the whole range of its solid state. These functions include molar heat capacity, volume coefficient of thermal expansion, bulk modulus and molar volume. In the last chapter, the findings from electron-microscopic studies of copper-tantalum welded joints that do not possess mutual solubility are examined. Joints with both flat and wavy interface are included. Findings from the study of other metal-metal and metal-intermetallic joints that were obtained by the authors were used for comparison.